--Shamanic Divination: Involves our connecting with our Helping Spirits to obtain personal information and/or advice as requested by our client. --Soul Retrieval: Retrieving and restoring soul portions to the client that had been lost due to trauma, loss, accidents, injuries, etc. 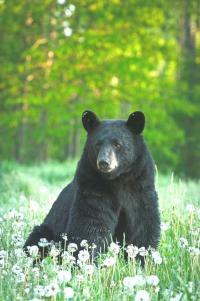 --Power Animal Retrieval & Passing on Power: Restoring spiritual power to the client. --Shamanic Extraction: Removing spiritual intrusions or energies that do not belong. --Shamanic Healing Drumming: Bringing the healing power of our Helping Spirits through the drum to the client for the purpose of the client’s healing. --Psychopomp Work and House Clearings: Assisting and guiding souls who have passed away into the Light; cleansing of client’s living environment to restore balance & peace. --Harner Shamanic Counseling: One on one teaching in shamanic journeying and practice for the purpose of healing and growth. Sessions are generally 60 to 90 minutes in duration. Our sessions begin by our discussing the client’s current issues and goals with them, then connecting with our Helping Spirits to decide upon how best to address these concerns. Afterward, the client rests peacefully in our healing space while we work together with our Helping Spirits and Spirit Teachers to help facilitate the healing, information, or change requested by the client. Jack and Marcia completed advanced levels of training as shamanic practitioners through the Foundation for Shamanic Studies (Michael Harner’s program) and are honored to have been selected to be Faculty Members and to teach FSS workshops in NC. We have been blessed to have studied with a number of shamanic elders and teachers over the years, and we continue to integrate these teachings into our practice. We are thankful for the ongoing teachings and guidance we receive from our Helping Spirits and Spirit Teachers. Shamanic healing practices are spiritual in nature. They are in no way intended to take the place of a doctor’s care. Shamanic treatments are seen as a complementary aid to a client’s physical and mental well-being. Shamanic energy medicine iscompatible with and does not interfere with any traditional medical treatments that a client may be following under their doctor’s care. We look forward to assisting you on your path of healing, learning, and growth! I see Core Shamanism as a teachable way of investigating non-ordinary reality and living more fully from knowing its existence as well as interacting with compassionate helping spirits for learning, gathering information and healing ourselves and others. A central theme in my life has been teaching. My teaching background includes having helped start and run a child-centered K-8 school and teaching undergraduate and graduate engineering courses for eighteen years in the Department of Mechanical and Aerospace Engineering at NC State University. I've also been a researcher and most of the projects I did were at the interface of engineering and biology such as how sharks swim, measuring heartbeats in chicken eggs and understanding the keyhole in human outer ears. To me, there is an incredible beauty in the physical mechanisms of nature. As a grad student I was fascinated by parapsychology and traded building equipment like random number generators for the opportunity to observe experimental work. Outside of work, I’ve biked and run, played soccer, danced (mostly Limon-style modern and Contact Improv), done Tai Chi, walked in the woods with my dogs and heated my house by cutting firewood with a two-man saw. I’m the grandson of a dowser and do healing work with my wife in our healing practice. The healing has been mostly core shamanic healing, Reiki, and Angelic healing. My strongest mystical experiences, outside of our healing practice, include the death of my father and an all-night Long Dance that I’ve done annually in the mountains of New Mexico for two decades. I first encountered Core Shamanism in the early 1990’s, took the Basic a decade later followed by the FSS Two-Week Shamanic Healing Intensive Training, and completed by the Three-Year Program with the Foundation for Shamanic Studies in 2014. My helping spirits provide me with consistently practical and supportive advice that I find extremely valuable. I live in the woods of Durham, NC in an owner-built house. I’ve raised three kids, have three grandkids, and help Marcia with her four grown kids. My formal credentials include a BS in Electrical Engineering, a PhD in Mechanical Engineering (both from Duke University), a Professional Engineering license in NC, and inventor or co-inventor on over fifty US patents. I believe people learn best by doing and experiencing. Core shamanism offers well developed methods for people to interact with their helping spirits and, consequently, develop a larger view of the world and become more fully themselves. The opportunity to help others learn these skills is why I’m part of the FSS faculty. I grew up on a huge expanse of wide-open Southern Illinois forest and farmland, and from my earliest beginnings I reveled in the magnificent feelings of wonder and oneness that I experienced with the natural world. I often sat in silent meditation under the blue Midwestern skies, or curled up in the arms of a giant oak with our family cat. This sense of wonderment and connection with the natural world has continued to grow stronger all my life, but when I began studying shamanism in 2003, it felt like a real "coming home." I discovered Michael Harner's The Way of the Shaman in 2005, and experienced a deep validation for my early experiences on the shamanic path. I continued to study shamanism with local shamanic practitioners in North Carolina, and in 2008 I was blessed to be able to take the FSS Basic Workshop: The Way of the Shaman® with Dana Robinson. I continued to take trainings with the Foundation, studying alongside my husband, Jack, including Harner Shamanic Counseling Training with April Tuck. Our honeymoon in 2010 was the FSS Two Week Shamanic Healing Intensive with Nan Moss and David Corbin. We continued training with Nan and David, completing the FSS Three Year Program of Advanced Initiations in Shamanism and Shamanic Healing. My working relationships with my compassionate helping spirits and spirit teachers have deepened and enriched so many different aspects of my life. I feel a great deal of gratitude to each of them, as well as to all of my teachers at the Foundation. My formal training was as a social worker. I received a BA in psychology and a Master of Social Work with Mental Health Specialization from the University of North Carolina at Chapel Hill. I worked for many years in the mental health, addictions treatment, healthcare and Hospice field. I began studying alternative medicine in 2002, and have been in private practice since 2003 as a healing facilitator, intuitive consultant, and teacher. I have a private practice in core shamanic healing and divination, which continues to be an exciting and rewarding part of my life. My husband Jack and I often work together in our shamanic healing practice, where we are honored to be a part of our clients' healing journeys. Our practice includes soul retrieval, extraction healing, power animal retrieval, divination, shamanic counseling, psychopomp work, healing drumming, and more. We also host a monthly shamanic drumming circle in Durham, NC, Earthsong Shamanic Drumming and Journey Circle. 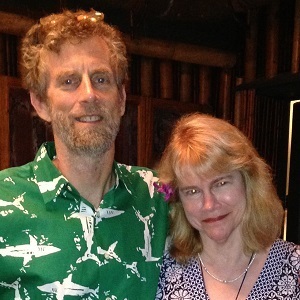 My husband Jack and I team teach core shamanism for the Foundation for Shamanic Studies. The practice of core shamanism has enriched each of our lives beyond measure, and we are very enthusiastic about sharing these methods with others. It is absolutely beautiful to see our students' enthusiasm and growth as they learn to connect with and build upon their own working relationships with their compassionate helping spirits and spirit teachers. CORE SHAMANIC HEALING, HARNER SHAMANIC COUNSELING, OR SHAMANIC DIVINATION SESSION--1 Hour--$130; 1.5 Hour--$190. Includes feedback/suggestions. May include shamanic extraction healing, power animal retrieval, restoring lost power or retrieving client's soul portions, seeking guidance and information for the client, etc. SOUL RETRIEVAL SESSION -- 1 Hour--$130; 1.5 Hour -- $190. Includes feedback/suggestions. Retrieval and restoration of lost aspects of the soul (soul portions) that were separated from the client due to trauma, loss, shock, severe illness, accidents, etc. PAST LIFE HEALING WITHIN THE SHAMANIC JOURNEY OR PAST LIFE SOUL RETRIEVAL -- In Person or Distance Session -- 1 Hour $130; 1 1/2 Hour $190. HOUSE (OR OFFICE) CLEARING AND BLESSING -- 1 1/2 to 2 Hours -- $130 to $260 -- Shamanic, Angelic, and energetic cleansing and releasing of negative energy, discarnates, and entities from the home, business, and/or property. Larger properties will require longer session in order to complete needed clearing. Small added fee may be applicable if your property location is over 20 miles from our Durham office. Sessions are available now in Marcia and Jack's Durham, NC office, as well as via distance healing and divination sessions (phone, Skype, or Facetime). See info. below regarding Jack and Marcia's upcoming shamanic trainings in NC, sponsored by the Foundation for Shamanic Studies. Call now at (919) 423-3623 to schedule your appointment. On-site and distance sessions are equally effective. In-home appointments for physically-challenged individuals are available upon request. Appointments are available Monday through Friday. Sliding scale may be available for clients with documented financial hardships. Trainings and mentoring available as scheduled and upon request 1:1. Moon does healing work with pets in their homes and via distance healing. Cancellation or No Show Policy: 24-hour notice is required for cancellation of scheduled appointments. Failure to provide 24-hour notice, or No Show results in $50 fee. "When I first came to Marcia, I felt lost, alone, and depressed. Through a series of soul openings and life-changing sessions, I purified much of what was clouding my experience of myself. Every session I felt deeply held, seen, and met by Marcia's loving guidance. My time with Marcia changed the course of my life, and I am forever grateful." "My 16-year-old cat had GI problems, had deteriorated, and would withdraw from me. I'd taken him to the vet, and he'd been stabilized somewhat, but he was still not himself. I felt like I needed help with him. My sweet kitty is now doing quite well again, back in my lap a lot - interacting with me again. I am very grateful for the holistic/energy work that Marcia Hebrank did for him. I recommend her highly. She also can do distance healing - with people and with pets. I'm very thankful that Marcia's work brought my cat back into balance again." "What a blessing from the Divine. Thank you Moon and Jack for offering and teaching." "Marcia is one of the most talented healers and intuitives I have ever had the great blessing to know. She has amazed me with her healing work in acute situations, and provided beautifully grounded intuitive guidance in calmer settings. She is dedicated to the Truth and shines it from her very heart, connecting with effective and compassionate guidance. It is an honor to work with her!" I always appreciate Testimonials and Endorsements on DaoCloud: The Social Network for Wellness! "Very powerful. Lots of hands-on practice, and clear explanations. I liked having two teachers who worked together. Easy going manner made it easier to learn. A wonderful experience where I feel like I'm walking away with a new set of skills and a new circle of kindred souls." "This was a well-led and excellent, thorough workshop. Jack and Marcia were thoroughly prepared, respectful, and careful leaders; their different leadership styles complemented each other smoothly." "Positive. Empowering. Jack and Marcia worked well together. Their separate backgrounds bring harmony in thoughts and ways of explaining things. Content and presentation was informative and well presented." "Instructors worked joyfully and diligently to teach and to be inclusive. Jack and Marcia make a good team. They play off each other, improving the quality of instruction. Thank you for all that the FSS is doing to teach and to preserve this precious knowledge." "Enlightening, very positive. I think the presenters are wonderful teachers." "All aspects regarding learning and exploring as a beginning shaman were clear and well presented." "Discovery of facts and ways to divine that help with personal issues was a highlight of the experience. Teachers were very knowledgeable." MICHAEL HARNER'S SHAMANIC DIVINATION TRAINING - SPONSORED BY THE FOUNDATION FOR SHAMANIC STUDIES - DURHAM, NC - SAT. & SUN., MARCH 30 & 31, 2019 - 10 am to 5:30 pm Sat. ; 9:30 am to 5:30 pm Sun. - One of the classic tasks of the shaman is to journey into nonordinary reality in order to obtain answers to questions, both at the request of others and for oneself. Participants in the workshop have the opportunity to engage in divination journeys for each other as well as for themselves and to gain experience in using various time-tested shamanic divination techniques. In the shamanic search to become persons of knowledge, they learn, as shamans have from time immemorial, how to converse with plant and animal spirits, how to learn about the use of quartz crystals, and how to seek and receive revelatory knowledge from visionary sources. Prerequisite: the FSS Basic Workshop, The Way of the Shaman®, with an authorized FSS Faculty Member. 13 FSS Continuing Education (CE) Credits available. To register, contact Marcia at MarciaHebrank@yahoo.com or call (919) 423-3623. $75 deposit holds your space. Early Bird tuition: $230 (paid in full by 2/30/19); Regular tuition $260 (paid after 2/30/19). On site payment with debit or credit card can be done online with debit or credit card at http://www.Paypal.Me/MarciaHebrank Check for deposit or tuition can also be mailed to Marcia Hebrank, 216 Jefferson Dr., Durham, NC 27712. You can also call (919) 423-3623 to arrange to pay by phone. Visit the FSS website for our faculty bios. 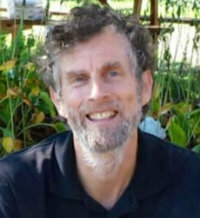 and details on core shamanism, Michael Harner, and other trainings through FSS at www.Shamanism.org This is an exciting, fast-paced class; you'll head home on Sunday evening with may new tools for shamanic divination! ADVANCED SHAMANIC WORKSHOP – SHAMANISM: DYING AND BEYOND – Sat. & Sun., MAY 4 & 5, 2019 – 9:30 AM TO 5:30 PM each day – DURHAM, NC – Sponsored by The Foundation for Shamanic Studies. Participants learn how to deal with the issue of dying and the destiny of souls from a shamanic perspective. The workshop is both for those who wish to learn for themselves, and for those who wish to help others who are in terminal situations or who have already passed on. Experiences to be undertaken include learning how to become experientially familiar with the after-death realms, tracking a person using shamanic journeying, completing unfinished business, helping a person to cross over, and classic psychopomp work. Prerequisite: the FSS Basic Workshop, The Way of the Shaman®, with an authorized FSS Faculty Member. Early Bird Tuition: $230 (paid in full by 4/4/19); Regular Tuition: $260 (paid after 4/4/19). Deposit of $75 is required to hold your space in this Advanced Workshop. Pay deposit or tuition online with debit or credit card: http://www.Paypal.Me/MarciaHebrank or mail your check to Marcia Hebrank, 216 Jefferson Dr., Durham, NC 27712. You can also call Marcia at (919) 423-3623 to arrange to pay by phone. Shamanism: Dying and Beyond, Shamanic Extraction Healing, and The Way of the Shaman Workshops are all pre-requisites for Power Soul Retrieval Training, which will be offered later in 2019. 13 CE's (Continuing Education) are available for those successfully completing this training. 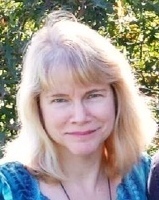 Visit the Foundation for Shamanic Studies website at http://www.Shamanism.org for our faculty bios. and info. about FSS and its founder, Michael Harner. 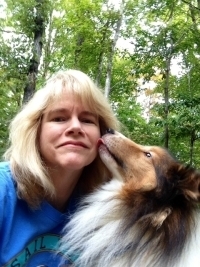 "I highly recommend taking core shamanic training with Marcia and Jack. This work is a wonderful pathway to truth, guidance and healing on levels you might not have imagined possible." "I just wanted to send a note to say a huge thank you for holding the Shamanic Extraction Healing workshop this past weekend. You both made everything clear, concise and understandable. I feel I was able to grow with each exercise and could feel the power build in me with every step you lead me to. It was truly a wonderful experience. Thank you so much. I look forward to learning more from both of you." "Such beautiful healings took place! I am in such gratitude for receiving all that was received during a fun-filled weekend of training!" Visit our Booth #27 at the Body/Mind/Spirit Expo. on Sat. & Sun., FEBRUARY 23 & 24, 2019 - NC STATE FAIRGROUNDS, KERR SCOTT BLDG., BLUE RIDGE ROAD, RALEIGH, NC. We'd love to meet you and share with you about Core Shamanism! ALSO! - Join us for our FREE lecture on working with the Angelic Realm on Sunday, Feb. 24 at 3:00 pm in Room 2 at the Body/Mind/Spirit Expo. as we share about the benefits of Core Shamanic Healing. Visit our booth at the ONE TRIBE FESTIVAL on SAT. & SUN., APRIL 13 & 14, 2019 - NC STATE FAIRGROUNDS, BLUE RIDGE ROAD, HOLSHOUSER BUILDING, RALEIGH, NC. 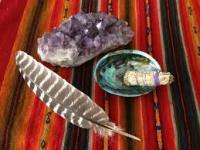 Enjoy a Shamanic Divination or Shamanic Healing session. ALSO - Participate in our FREE lecture on Shamanic Healing - Soul Retrieval on the afternoon of SUNDAY, APRIL 14 at the One Tribe Fest. Third Wednesday of the Month: EARTHSONG SHAMANIC JOURNEYING and DRUMMING CIRCLE -- 6:30 to 8:00 p.m. -- **Requires successful completion of The Way of the Shaman Workshop through the Foundation for Shamanic Studies. ** Bring yourself, your rattle, eye cover, drum, and your enthusiasm while we journey together to meet with our Helping Spirits as a group. Small love offering welcomed to help support Meetup fees, but not required (suggested $5-$10). Please connect with Moon beforehand to discuss your core shamanic journey experience (Email MarciaHebrank@yahoo.com). If you'd like to join us, but lack core shamanic journey training and abilities, we are glad to discuss options with you for obtaining these. RSVP requested at MarciaHebrank@yahoo.com. Please review this information before scheduling your first session, and feel free to contact me if you have any questions. Initial consultations are an hour and a half and allow time for questions, intuitive work, assessment and healing if needed. After the initial consultation, sessions can be booked for an hour or longer as needed. Please book longer sessions for soul retrieval, and for sessions that include significant time on intuitive guidance in addition to energy work. On-site sessions are available in Durham, NC. Private distance sessions are available via phone, Facetime, or Skype. After scheduling your appointment, please use PayPal to pay for your session time at least 24 hours prior to your appointment. New distance healing clients, please also email a photograph prior to your appointment time. Shamanic healing practices are spiritual in nature. They do not interfere with any medical treatments a client may be following under a doctor’s care. In no way does shamanic healing work replace such medical treatments. Shamanic healing treatments are in no way intended to take the place of a doctor’s care. Shamanic healing treatments are seen as a complementary aid to a client’s physical and mental well-being. We do not diagnose or treat injuries or psychological or physical illness, nor do we prescribe any medications or make recommendations about prescriptions or other controlled substances. Marcia and Jack Hebrank are not practicing as physicians or therapists in doing shamanic healing. The services they provide are not licensed. They are not required to have, nor do they hold, a state license. Information about the nature of the services provided are indicated on the website. Information about their training and background are indicated on the website. It is our great honor to do this work of the heart. We are eternally grateful to those wonderful beings of Light who assist us in every aspect of the work that we do as a healing facilitators, shamanic teachers, and shamanic practitioners. We are humbled by the ripples of healing Love and Light that emanate ever outwards from this work that we've been given to do. If we can be a small part in helping you on your path of healing, growing, and learning, we are honored to do so. May each of us remember each day of our lives how supported we truly are by the forces of good in our world. May we know this truth at its deepest level: We are all one family, one community, one breath, one world. We are one with our fellow men and women, the plants, the animals, our beautiful Mother Earth, and indeed our benevolent Universe. May all of us, in the knowing of this truth, recognize the absolute impact of our individual decisions, actions, and plans in co-creating a more loving, caring, connected world for the benefit of all.